Storms like Hurricane Florence have a big financial impact on home-improvement stores. That’s why Lowe’s and Home Depot are manning their emergency command centers to deliver supplies and relocate staff both before and after the storm. Jennifer Thayer, a top manager at Lowe’s Co., has worked through so many hurricanes for the home-improvement chain that co-workers kid her about the storms following her around. Thayer, 44, has been employed by Lowe’s since 2004, starting as a store manager in Texas. In 2005, Katrina hit and she was pulled into duty one state over, in Louisiana, to help with the cleanup. She was working in Houston in 2008 when Hurricane Ike flooded the town and became vice president of store operations in Florida, just in time for Matthew and Irma. Welcome to the world of the home-improvement employee working in America’s hurricane hot spots. For Lowe’s, along with rival Home Depot, storms have a big-time financial impact. Shoppers will flood their stores before a storm for anything from batteries to generators to plywood to prepare for the mayhem ahead, and afterward for the tools and materials to fix their homes and businesses. 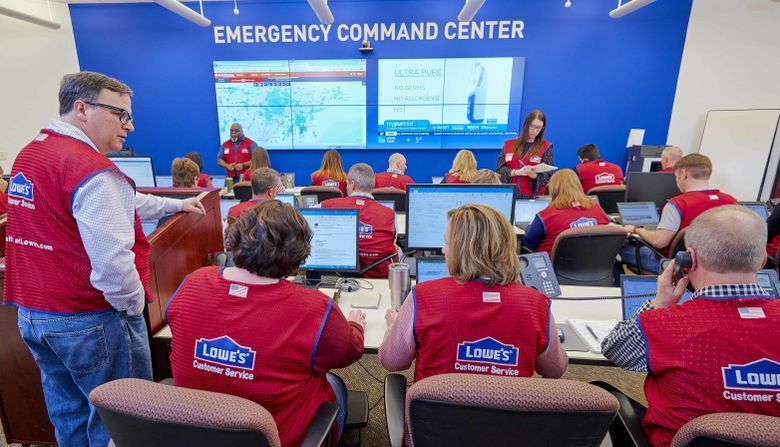 Storm-related revenue increased same-store sales for Lowe’s by 2 percentage points in the second half of 2017, when Harvey hit the Houston area, devastating whole sections of the city, and Irma hit Florida. As a percentage of total sales, that equates to a boost of more than $600 million. Florence may bring as much as a 0.6 percentage point sales boost in the second half of the year for both Home Depot and Lowe’s, according to Consumer Edge Research. Late last week, as Florence strengthened, Lowe’s began shipping supplies to the region, and by Wednesday, 1,000 truckloads of supplies had been delivered. Both chains have opened their command centers to track Florence and coordinate delivery of goods to the areas in its path. This hurricane will hit especially close to home for Lowe’s, with its headquarters about 30 miles north of Charlotte. The company so far doesn’t have plans to close its corporate campus. 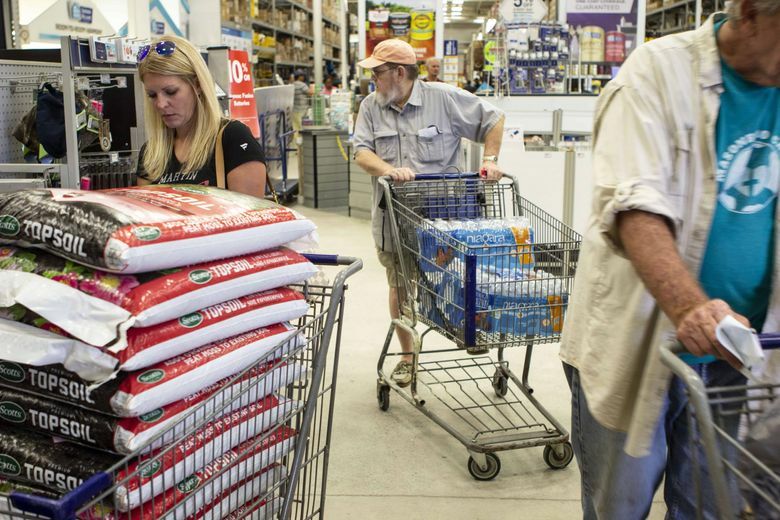 Lowe’s also has a handful of stores in Wilmington, North Carolina, a port city of 119,000 people in the southeast corner of the state that could take an almost direct hit, according to the U.S. Hurricane Centers on Wednesday. “You can feel that panic feeling in the Wilmington market,” Thayer said. Lowe’s is keen to reopen stores quickly because it knows there will be a ton of demand for supplies. That’s why it maintains hurricane relief teams throughout the year. These are employees who volunteer to work in a disaster area to fill in for colleagues who may have evacuated or can’t get back to the store. The company has activated this group, with 100 employees recruited from inland North Carolina cities such as Asheville and Hickory. If needed, they’ll come from nearby states like Tennessee and Florida and stay for weeks.